No motor vehicle shall be run on any highway or public place outside the limits of a city at a speed to exceed fifteen miles an hour, and no such vehicle shall, on any highway or public place within the limits of any city, be run at a speed to exceed twelve miles an hour. The law also specified that the person in charge of the vehicle was to reduce its speed at crossings and intersections or upon meeting a horse. In the last case, the act further specified that if the horse “appears to be frightened” the motor vehicle must to come to a stop. The penalty for violating the act was defined as a fine of “not more than two hundred dollars for each offense.” A pretty stiff cost at a time when the average price of a car was $920. 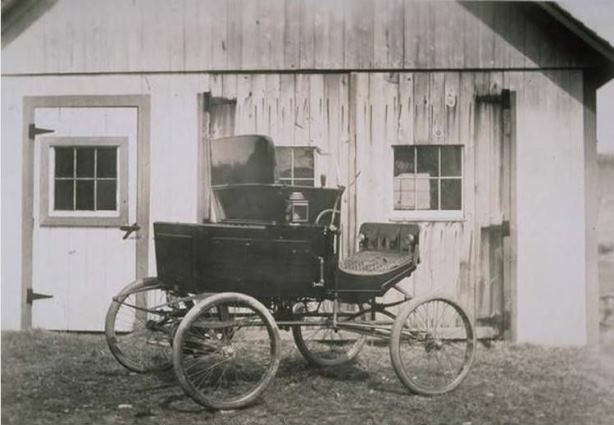 “An Act Regulating the Speed of Motor Vehicles.” In Public Acts Passed by the General Assembly of the State of Connecticut in the Year 1901. Hartford, CT: Belknap & Warfield, 1901. Link.